With economic, political and cultural globalisation, our world is inseparable from the fates of other nations and peoples. But how far can we trust English to provide us with a reliable lingua franca to speak about our world? If our keywords reflect our cultures and form parts of specific cultural and historical narratives, they may well help trace the paths we take together into the future. This book seeks the roots of four keywords for our times: the people, the citizen, the individual, and Europe. 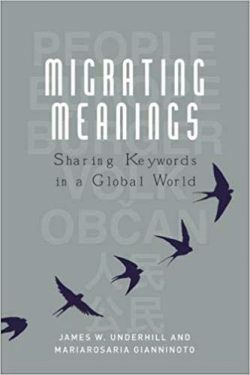 By exploring these keywords in English and understanding stories related to ‘equivalent keywords’ in Chinese, German, French and Czech, this book helps us to understand how other languages are adapting to English words, and how their worldviews resist ‘anglo-concepts’ through their own traditions, stories and worldviews.